Joining an NYP activity was truly educational in that it opened my eyes to the needs of the community around us. 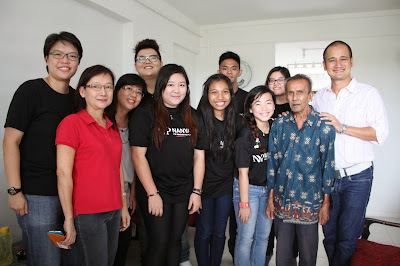 In 2011, I volunteered for a social cause that involved helping underprivileged Singaporeans, and it was one of the most fulfilling activities I have ever done! Organised by NYP Students’ Union (NYPSU) in conjunction with the People’s Association Youth Movement (PAYM) Singapore, the event, called “Project Paint”, invited volunteers to help the elderly give their homes a fresh, new coat of paint. Yes, this is similar to Mediacorp’s Reality TV series, Renovaid and心晴大动员 (Life Transformers). At Block M Level 4A, a restless entity made its home in a certain hose reel compartment. It bides its time, terrifying those who chance upon its domain under the blanket of night. For one unlucky student, this anomalous being has left a lifelong scar, a trauma never to be forgotten. No, this is not a story about that unlucky victim. This is a story about the ghost, Wynne Aw. Wynne was a first year Digital Media Design (Animation) student…. Cath Kidston has recently opened a new store! 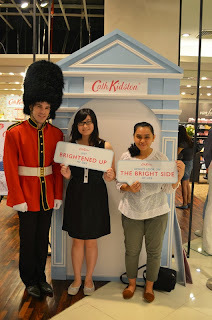 Nauli, a fellow The Write Stuff member, and myself had the honour of visiting the new store and interviewing Mr Gary Goh, Regional Marketing Manager of the Norbreeze Group, an Asian retail specialist that has brought Cath Kidston to Singapore. During the opening, we toured the store, and also attended the tea party that was organised to celebrate the opening of their latest outlet at Tangs. 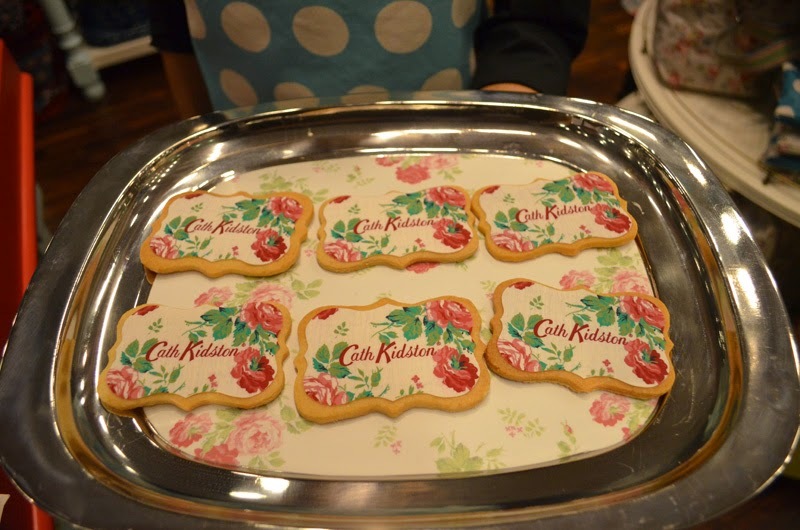 We visited the store and learnt more about Cath Kidston’s business plan, which includes some valuable tips for budding NYP Entrepreneurs and our Business Management students! In Mandarin, the characters 兰樱之交 (the friendship between Orchids and Cherry Blossoms, national flowers of Singapore and Japan respectively) symbolise the sharing of Singapore and Japan’s culture and knowledge. 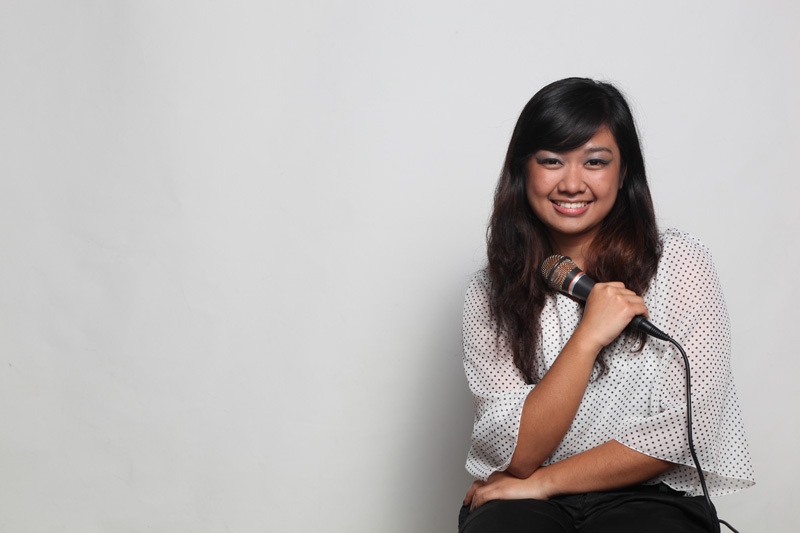 Evangeline Neo, who graduated from Nanyang Polytechnic’s School of Interactive & Digital Media (SIDM) in Digital Media Design, is a local comic artist. She is the perfect example of the idiom above, bridging the cultural gap between the two countries with her viral web comics. Much of this was accomplished by spotting cultural differences while studying for her MBA (Masters in Business Administration) from Waseda University in Japan. Evangeline currently maintains her popular Facebook page, EVACOMICS. Good food is what most Singaporeans hold dear to their hearts. So it came as no surprise that my classmates and I were very keen to participate in a Singapore Hawker Style Video Competition. 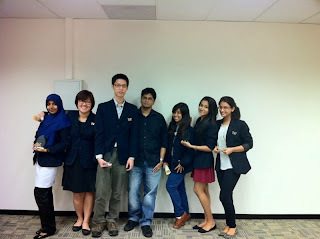 In fact, we knew about the contest through Facebook and wanted to join even before our lecturer told us about it. The best part of this competition is that we had so much fun with filming and even got an award for our video submissions! It is not usual for a Singaporean, let alone a student, to trigger waves on the international radar. But, one student from NYP has successfully done so. 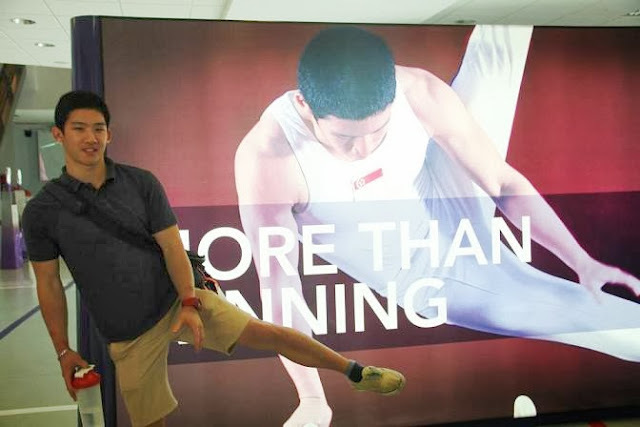 Third-year Diploma in Sports & Wellness Management student, Terry Tay, has recently been honoured with a gymnastics move (the “Tay”) named after him by the International Gymnastics Federation, Federation Internationale De Gymnastique (FIG). This makes him the FIRST gymnast from South-east Asia to have a skill named after him in the FIG Code of Points! Terry was taking part in the 44th artistic gymnastics World Championships in Antwerp, Belgium, held in September 2013, where the move was performed and inaugurated in the FIG Code of Points. I sat down with Terry to discover all about the origins of the move, and the man behind it all. Ms Dolly (in white, second from left) with Hui Ling (in red, next to her) taking a visit to a Coca Cola Factory during the overseas trip. 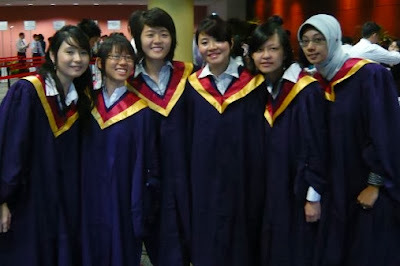 “She is one of the most respected and knowledgeable lecturers that I have ever met.” This is how Tan Hui Ling, Diploma in Aeronautical and Aerospace Technology, describes Senior Lecturer/SEG, Ms Dolly Lim. Meeting Ms Dolly Lim during an overseas trip was one of the best things to happen to Hui Ling at NYP. From 12-16th September 2011, around 30 students from both SEG and SCL took part in a five-day Suzhou-Shanghai educational trip. 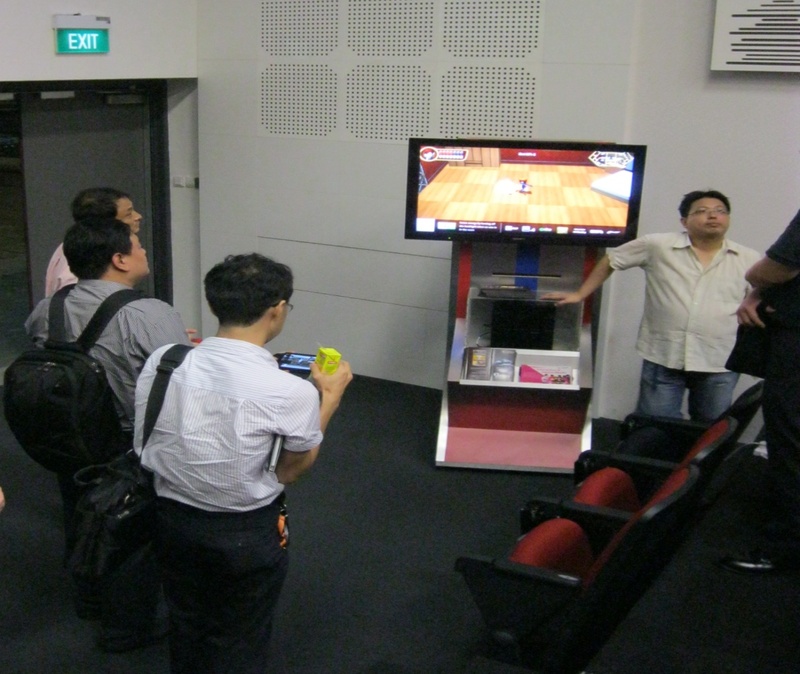 Out of the 30 participants, only 4 were females, including Hui Ling. 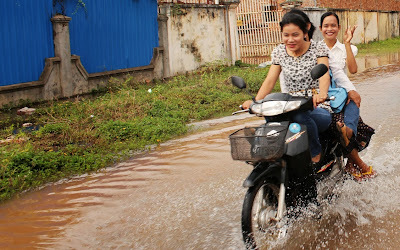 In fact, she was the only female from her course who had signed up for this trip. Even though she had male classmates to hang out with, she felt a bit left out. It was during one of those nights that she decided to talk to Ms Dolly. This was one of the best decisions she made during the trip because she got to learn more about Ms Dolly, and discovered that she was a very friendly and knowledgeable person. Being one of the few females in the trip also made it easier for Hui Ling to bond and confide in Ms Dolly. During the trip, whenever Hui Ling asked questions, the patient Senior Lecturer was always more than happy to share and explain her views. The next few months flew by. During the period between December and May, Hui Ling did not see Ms Dolly around the school very often. 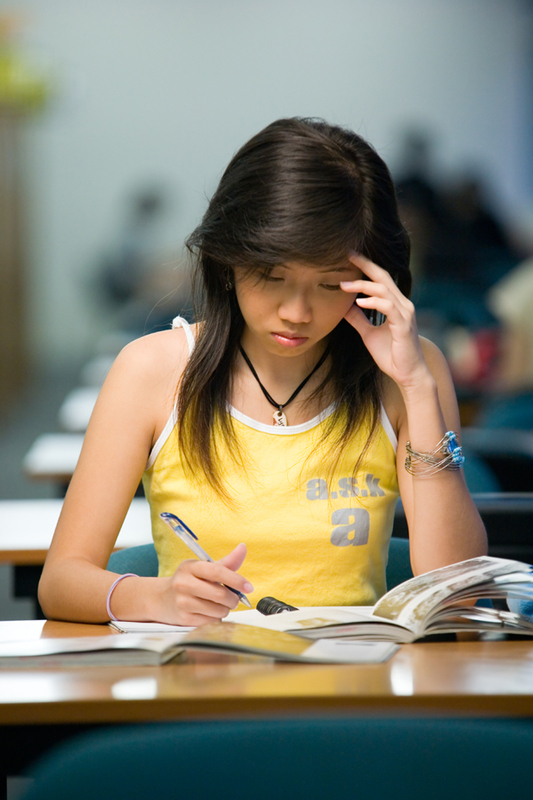 Perhaps, it was because the semester was coming to a close and school was getting more stressful. 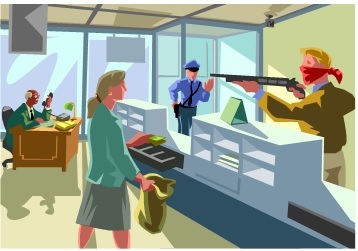 It was in May that the pair coincidentally bumped into each other while walking along the hallway from South canteen to Block S. Immediately Ms Dolly reminded her that she was going to bake a cake for her. Hui Ling was surprised that a lecturer had personally remembered her birthday and she was deeply touched that Ms Dolly had offered to bake her a cake. “It should have been the other way around! 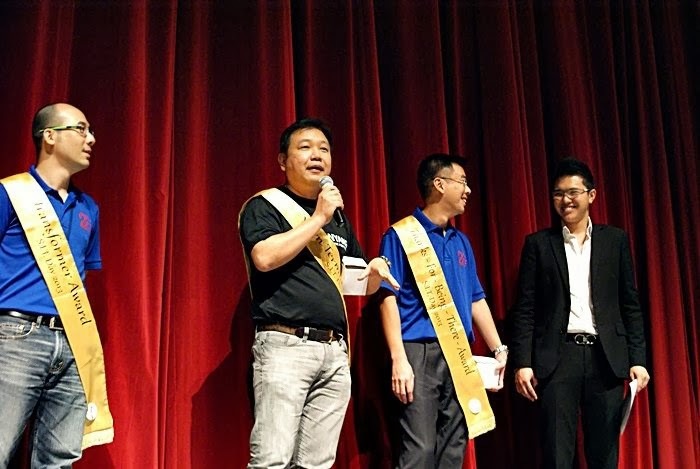 I should have been the person to have given her a gift for being so kind instead!” Hui Ling had exclaimed as she remembered the event, “I hadn’t even given her anything before, I am so, so touched by her gesture”. On the 28th of May 2012, Hui Ling received a phone call from Ms Dolly to meet her at her office. True enough, Ms Dolly had baked an entire strawberry cake for her that looked good enough to have originated from a patisserie. 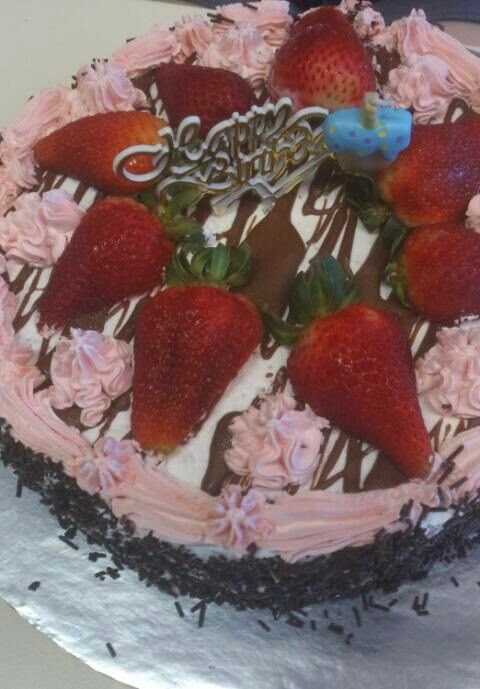 “I am a lucky student to eat a cake baked by a Senior Lecturer,” she recalled happily. 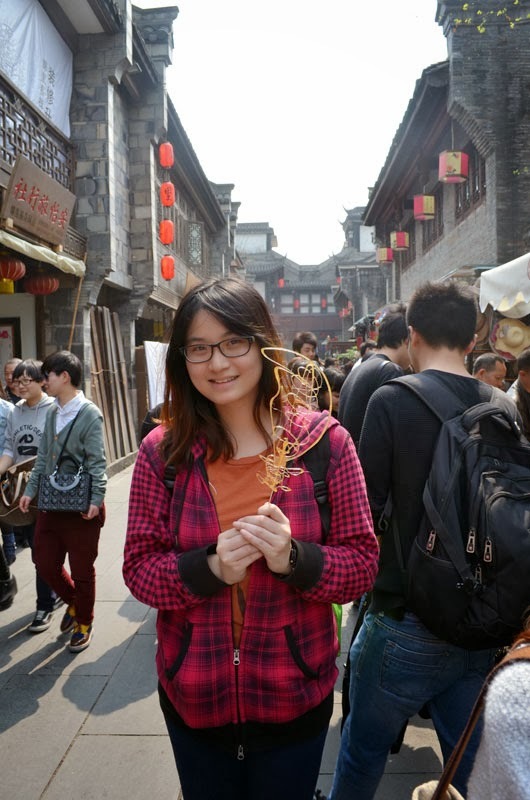 Hui Ling believes that the 2011 trip to China had given her a lot of experiences. 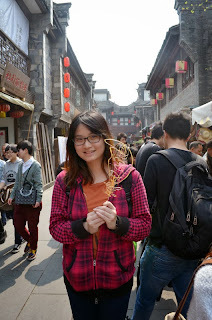 Not only had she been given a chance to visit the universities, museums, factories and shopping centres there, the friendships she made while on the trip with both her schoolmates and lecturers were invaluable. The relationship with them is not a “hi-bye” relationship; she has made long-lasting friends. And she will never forget that it was there that she met Ms Dolly, a beautiful and inspiring teacher. She will always be grateful for the care and concern that Ms Dolly has shown her. If she had another chance, she would definitely go for another trip. This semester, Ms Dolly teaches Hui Ling and she is a patient teacher whose main goal is for the students to understand and appreciate the module. 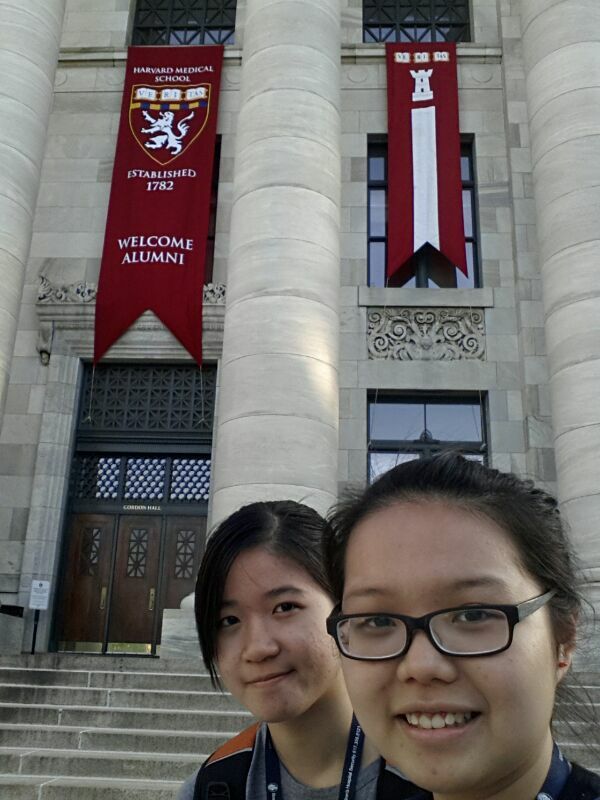 Hui Ling is enjoying her adventure in NYP. What’s yours? 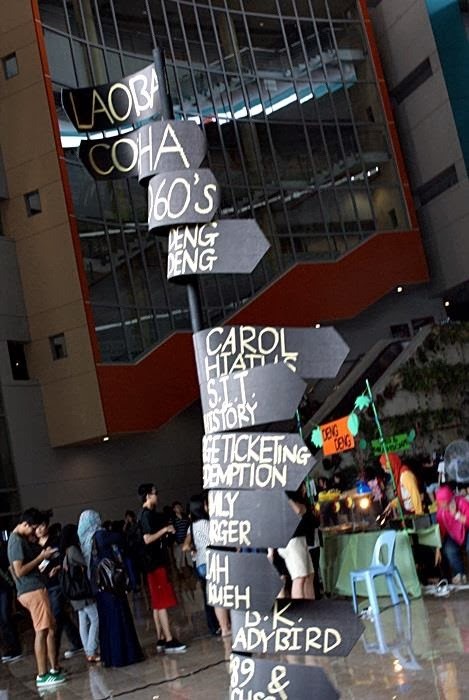 Come choose your own adventure at NYP Open House from 9 to 11 Jan 2014! 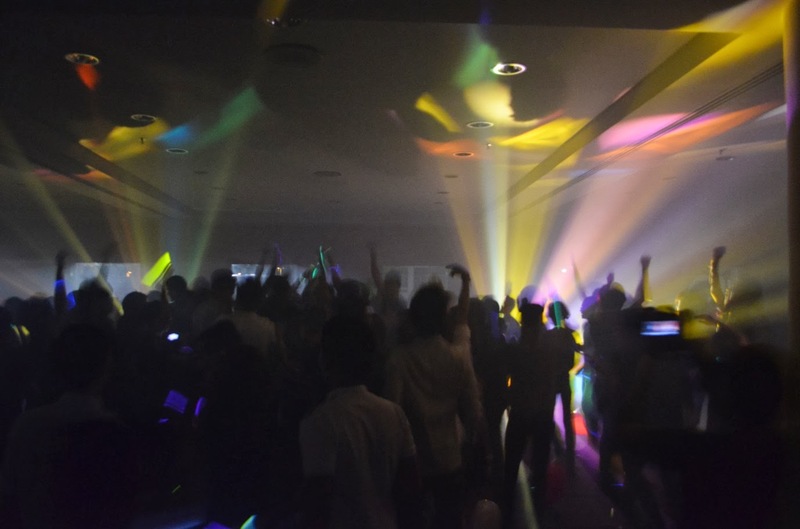 On 23 October 2013, the School of Information Technology (SIT) held its biggest event of the year to date. In order to celebrate being part of the SIT family, lecturers and students came together and organized the first-ever SIT Day! 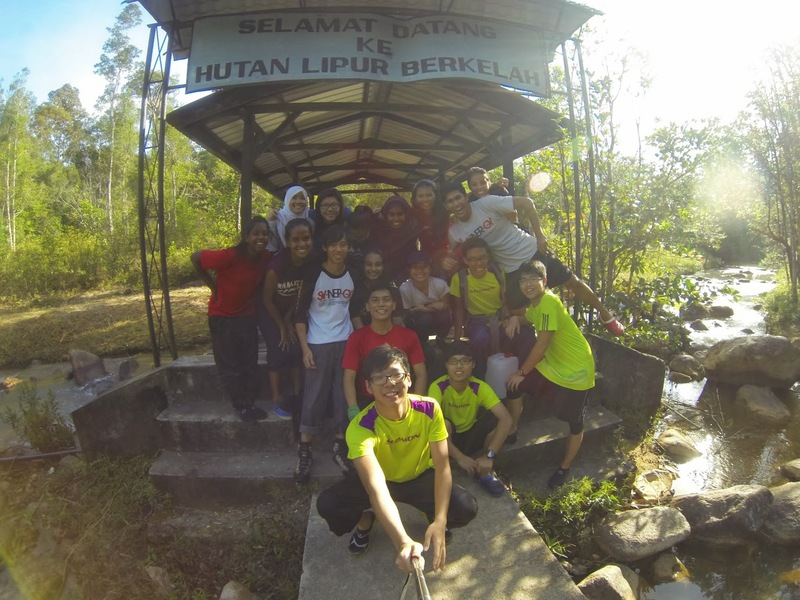 For SIT students like myself, it was a day full of activities designed to get you on your feet. 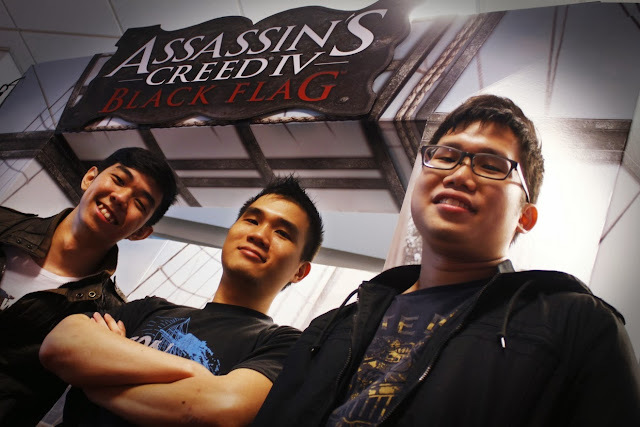 Raniel Lee: From EM3 to an Inspiring Entrepreneur with a Big Heart! He was an EM3 and Normal (Technical) student. 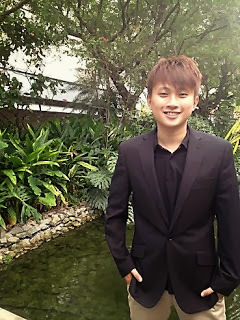 However, recent NYP graduate Raniel Lee believed in himself and never stopped aspiring to do better! 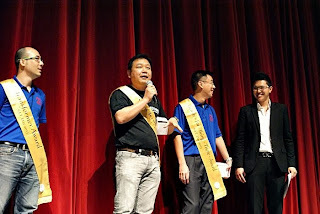 Now, he has acted in several MediaCorp dramas, started a successful video blog – SLF TV – on YouTube and launched his new media solutions InspireARTS last year. We were fortunate to have the opportunity to interview him to find out more! It is that time of the year again where we will get an opportunity to witness the best speakers in NYP debating controversial issues in politics, religion and the environment. 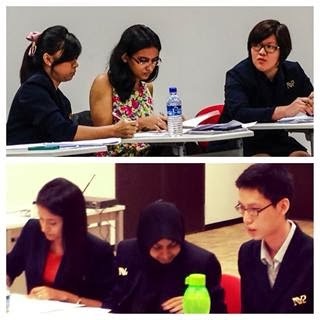 The NYP Inter-School Debates Championship 2013 opening rounds were held on 27 July. 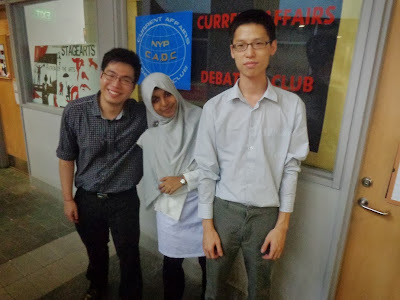 Here an interview with the Vice-President of the Current Affairs and Debate Club (CADC), Terrence Teh, from the Diploma in Molecular Biotechnology, followed by my experience at the exciting Inter School Debates. 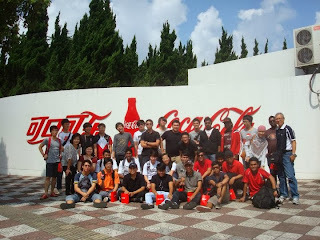 It was great to hear that Team NYP won 11 medals – three Golds, four Silvers and four Bronzes – and maintained our third position in the overall competition at the recent Federation of International Robot-soccer Association (FIRA) Hurocup 2013. This is the third consecutive year we have been placed third in the competition. ...and After! Now we have artful hoardings around campus! 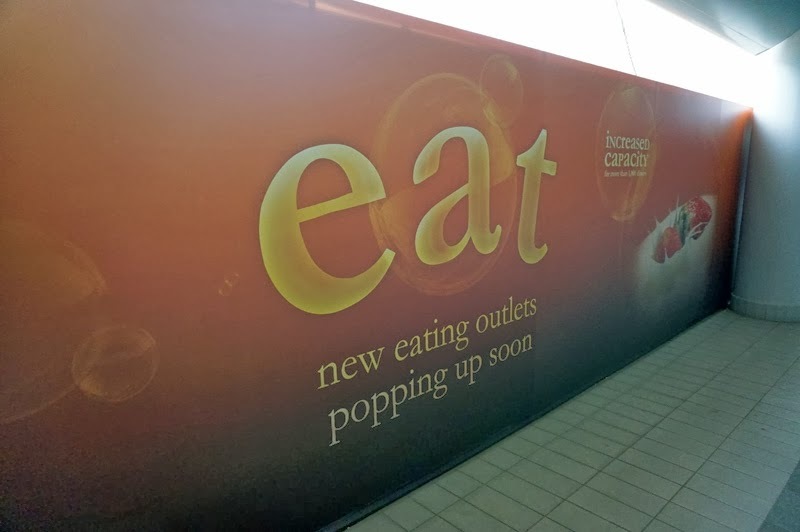 Thankfully, the unimaginative and utilitarian hoardings made way for beautifully designed hoardings that feature colourful swivels of abstract art. 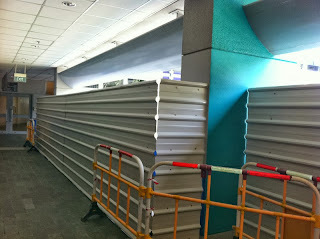 In addition to the beautiful artwork, the hoardings offer a glimpse of what we can expect from NYP’s Campus Expansion. The hoardings look phenomenal and really help to enlighten the scenery. I was amazed but proud to hear that a student played a key role in accomplishing the feat. One would remember several events of key importance in his/her life: graduation, first job and perhaps even the first relationship. 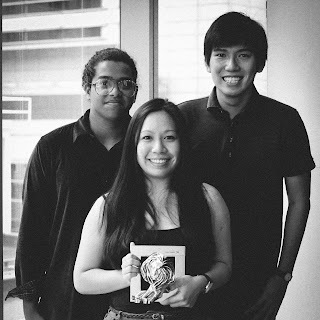 But for NYP graduates Too Jun Jie, 21, Darshan Kadam (Dash), 22, and Inessa Loh, 20, the trio will never forget their internship, which led them to being part of three big design award-winning teams – namely the Design and Art Direction 2012 Yellow Pencil Award (Professional Category) and the Bronze and Silver Awards at the prestigious Cannes Lions Awards 2012 and 2011 respectively. 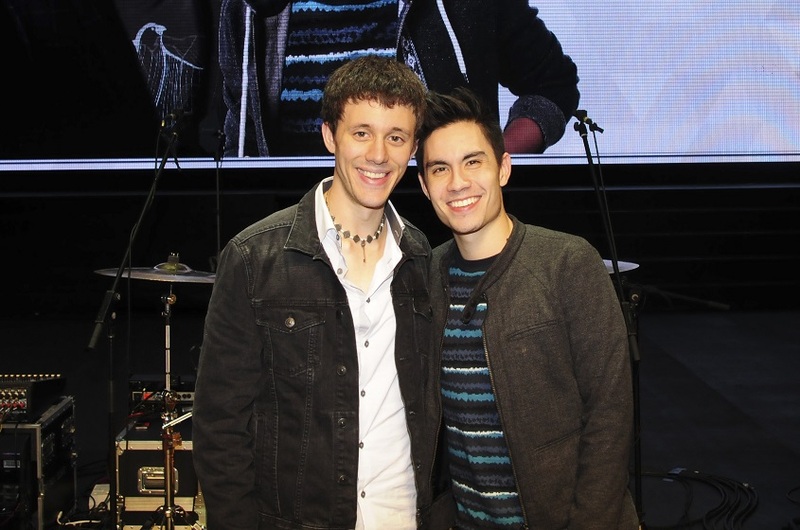 If you’re a music lover like I am, you probably would have heard of American YouTube musicians Kurt Hugo Schneider and Sam Tsui. Sam and Kurt are both best known for making covers, mashups and medleys of many popular songs that, some may say, sound much better than the originals. There are dreamers, then there are go-getters like Nanyang Polytechnic (NYP) student, Lazel Louise Anne Dela Cruz Herramia. 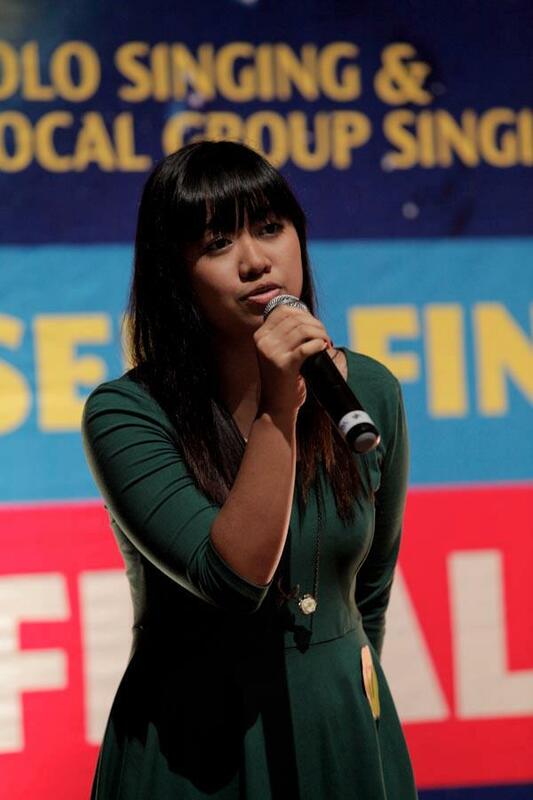 In her quest to become an international singing sensation, the third-year Engineering student has raced after every opportunity, endured setbacks and savoured sweet victories. Here, the two-time winner of NYP Jam! reveals her exhilarating adventure in pursuit of her dream. It’s eight in the morning, and your alarm clock rudely wakes you from your sleep. You can’t believe it is morning already! You rush to complete your morning routine, get dressed, and trudge out of the house. At the train station, you show obvious frustration at how long the train is taking to arrive, but manage to squeeze yourself into the already packed train. Then, you spend the rest of the time with your phone. 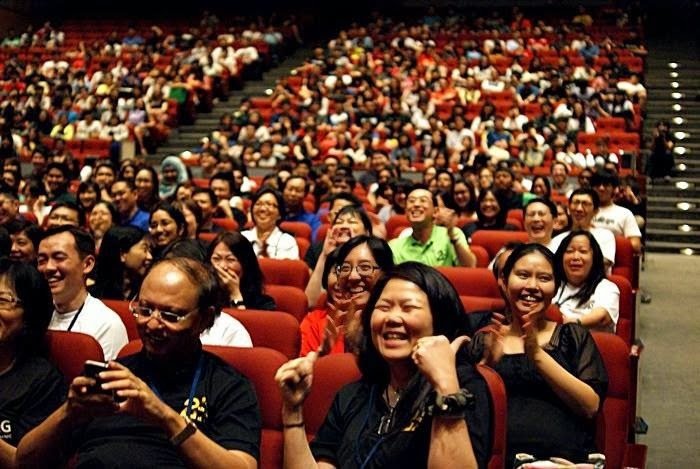 No, I am not talking about the recent movie The Internship, but the rite of passage for many Year Three students in any polytechnic in Singapore. I am amazed that we are introduced to the working world at some point during our studies, which we are supposed to make sense of and get graded for while learning on the job. 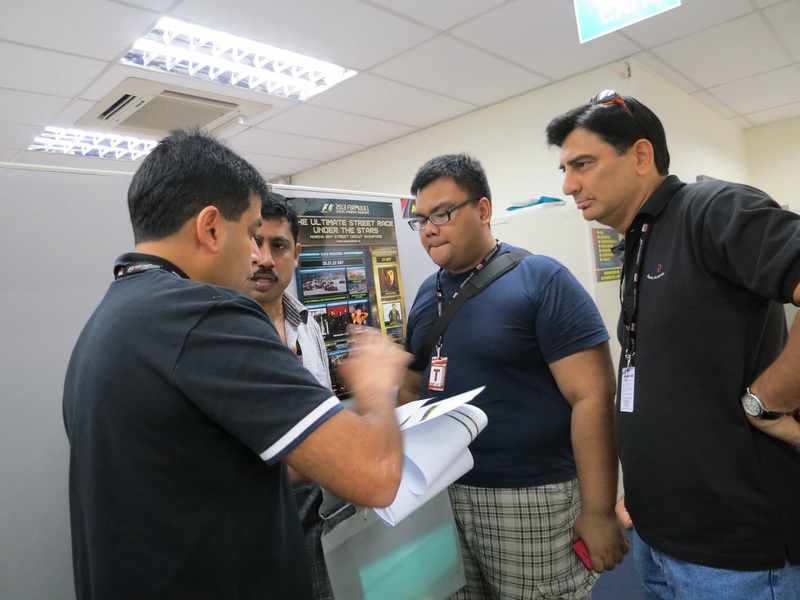 Don’t know how to work a Xerox machine? Neither a guide nor manual is readily available to explain the mechanics. Meanwhile, your supervisor might be wondering what’s taking you so long to print 10 sets of double sided documents. There is Bruce Wayne and Batman, Clark Kent and Superman, and even Peter Parker has his alter ego Spiderman. These fictional superheroes lead fascinating double lives. Is it far-fetched to think that in reality, we can have an equivalent? 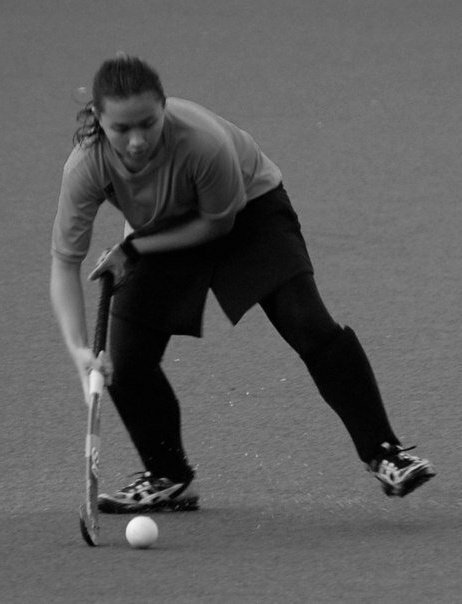 Well, meet Syafizah Binte Safii, an auditor holding the position of an Associate at Pricewaterhouse Coopers LLP, whose alter-ego is that of a sportwoman par excellence. Celebrating Diversity in Singapore through the Singapore Challenge! 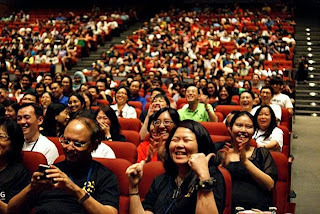 I just participated in the annual Singapore Challenge! 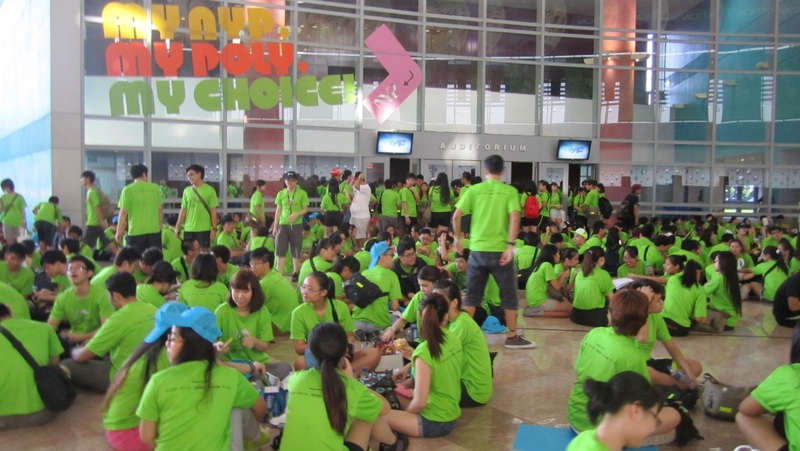 The Singapore Challenge is similar to the reality show The Amazing Race, except that it’s held in Singapore, for youths of different races and nationalities to learn more about Singapore and make new friends. 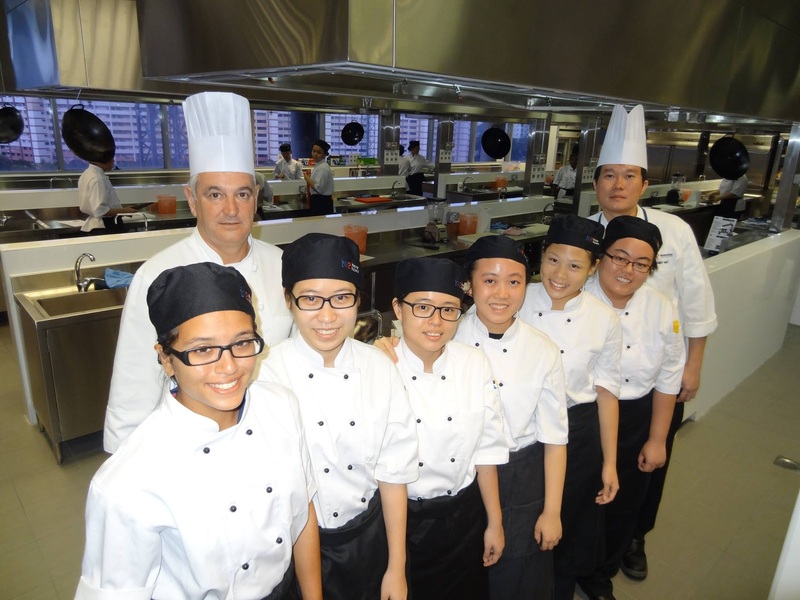 The event is organised by the Singapore International Foundation (SIF) in partnership with all the five polytechnics. I was fortunate to be able to participate in this event, and I certainly gained many insights about Singapore during the experience. Ever wondered how popular games like Angry Birds and Candy Crush were made? 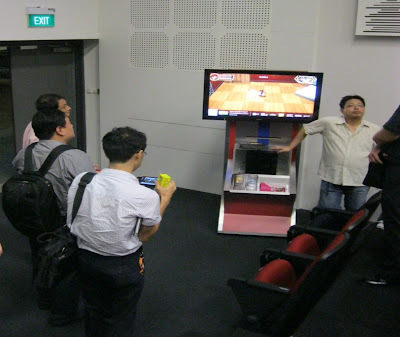 I was certainly curious and wanted to find out more about the whole game development process, and so, I registered for the “Game Development Can Be for Anyone!” seminar, which was one of the partner events of the Singapore Science Festival (SSF) 2013. Sounds familiar? They are the lyrics from the 1965 film, The Sound of Music, and would be what the lead character, Maria Von Trapp, would have sung if she were here, on a hill. She would have spun in small circles with her arms wide open, as if she were welcoming Mother Nature to sing along… except that her hill would look more like a bump situated in front of a Texas Chicken outlet at Gardens by the Bay. Clockwise (in picture): NYPSO cello section, last minute confirmation of the repertoire, NYPSO cello section (yes that’s me in the middle) with our cello tutor. 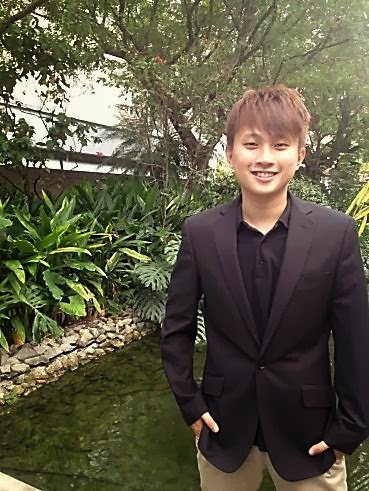 We, at NYP COMMS and Outreach, received a personal email from a student - Matthew Tan – who told us just how special he felt when he received the Daisy Phay – NYP Foundation Scholarship recently. It touched us so much that we decided that it should be shared with everyone. To read Matthew’s letter, scroll down. Thank you Matthew. We’re proud of you. Books are a great source of information and entertainment. They can teach us things, they can make us laugh, they can let us see the world from different perspectives and so much more. Normally, when people think of books, what comes to mind are thick objects with multiple layers of paper and covers. 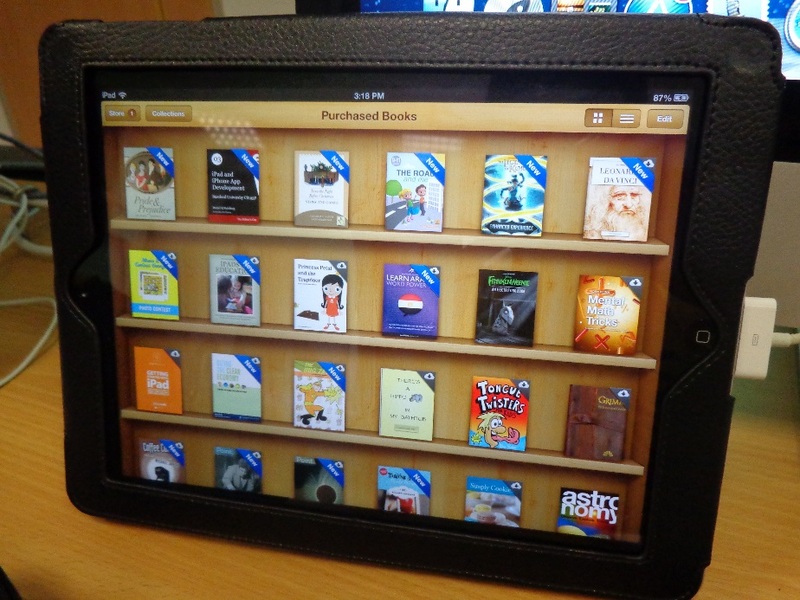 Now, thanks to modern technology, books can be digital and interactive pieces of content which are informative and entertaining, without taking up much physical space. 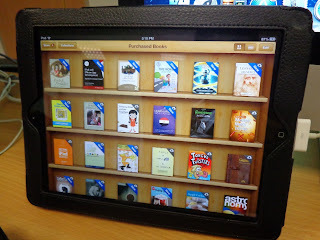 Allow me to share my experiences at a free training workshop conducted in Nanyang Poly’s School of IT (NYP SIT), which taught me how to make interactive digital books for the iPad known as iBooks. Crime-busting may seem exciting on TV, but most of the real work actually takes place indoors, where evidence is examined. 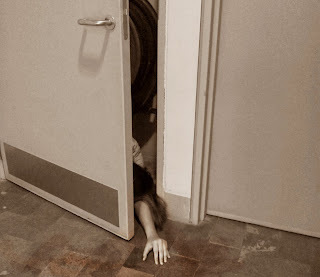 Let’s be honest, the work behind closed doors isn’t that “exciting” or “glamorous”. But that doesn’t mean that it is insignificant, or not exciting. Seventeen year old Naaziya Begum (above) has always wanted to be a nurse. Her dream was made possible when she was accepted into NYP’s Polytechnic Foundation Programme (PFP) after obtaining her GCE ‘N’ Levels 2012 results. Nurses Go “Gangnam Style” on Nurses Day! This year’s annual Nurses' Day was a blast! With the actual Nurses' Day happening on 1st August, the School of Health Sciences (SHS) celebrated it one day before, on 31st July 2013. Despite the sweltering heat from the scorching sun, the garden between Block K and Block J was packed with students. 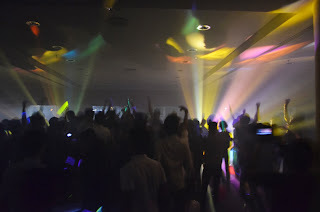 Besides students from the SHS, students from all the other Schools came to join in the fun as well. Attending the School of Interactive & Digital Media (SIDM)’s Alumni Movie Night gave me the opportunity to interview someone who helped bring Superman to life. 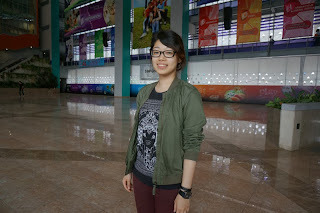 SIDM Alumna, Ms Janet Cheng Yang (Diploma in Digital Media Design/Class of 2008), is one of the Double Negative Visual Effects artists who brought the Man of Steel to the big screen and I managed to interview her before the screening of the movie. 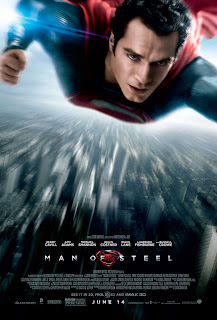 Janet has been working for award-winning Double Negative Visual Effects for almost three years now, and “The Man of Steel” is just one of many blockbusters under Double Negative’s belt. Working in such a prominent visual effects company filled her with pride and she was understandably excited about sharing her work with her SIDM family. Seeing the fruits of seven months’ worth of hard work was a fulfilling experience for her. After cutting her teeth as a student, it was easy to understand why she’d want to share her work with her former lecturers and peers. Forty Diploma in Food & Beverage Business (DFBB) students attended a two-day tea masterclass conducted by The 1872 Clipper Tea Co. (Clipper Tea) and were given the opportunity to create their own tea-based mocktails in an informal challenge. The students’ mocktails were such a hit that Clipper Tea is even considering featuring the winning mocktail in its wholly owned restaurant - Senso Ristorante & Bar. 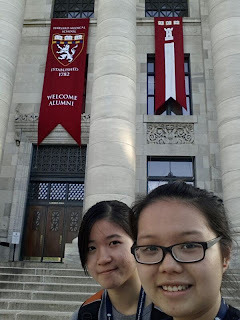 Third Year Molecular Biotechnology Students Ng Wei Ting and Evelyn Chen were really excited when they found out that they were selected for a three month internship at Boston Children’s Hospital. It was one of the most popular choices for internships because it is the primary teaching hospital of Harvard Medical School. The two girls, who were attached to the Karp Family Research Laboratories at the hospital, worked on stem cell research from April to June 2013. It was a steep learning curve but they were happy to pick up lab techniques and procedures that were commonly used in America. Here, they recount their internship experiences. The Sacred Heart Canossian College is an all-girls’ Catholic school established in Hong Kong in 1860. 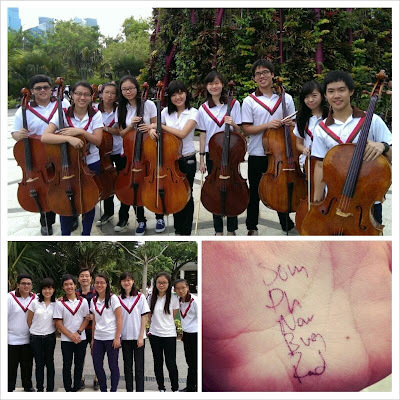 This year, secondary three & four symphony orchestra students from the Macau branch of the College participated in a joint concert programme with NYP’s Symphony Orchestra. I truly enjoyed the concert even though it was a small crowd.